is an adaptation from the female sovereign version. Great images, article and website, and always interesting to hear all the stories, isn't it? 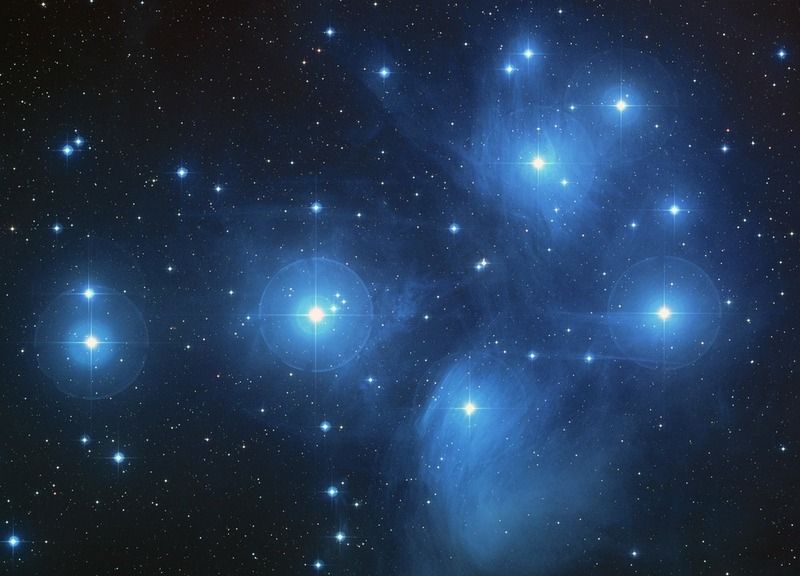 There is a story, I like to tell, of the Seven Sisters of Pleiadia's. They were the hand-maidens to Artemis. They ran free and naked in the woods, sovereign and free from men. Sirrius, their canine protector, followed them to alert them to the presence of men in the forest. There were frequent courter's some more persistent than others. Occasionally, hunters came and had to be run off . The sister's were safe with their bow's and animal protectors and now run forever in the skies, followed by the dog star Sirrius, still after the hunter Orion. The sister's father zeus, stood protectively should Orion get by the dog star Sirrius, but he never does and they are safe in female sovereign space in the night sky.